People who suffer from shoulder injuries know just how the pain can feel throughout the body. From dull aches to sudden stabs of pain, a sore shoulder can make it very difficult to lift the arm or lifts objects which then leads to overcompensation by other body parts. The pain resulting from a shoulder injury often continues to worsen and intensify unless and until the injured person receives proper medical treatment. Some types of shoulder injuries include tendonitis, bursitis, as well as strains and sprains of the muscles and/or ligaments. Many of these WEAR and TEAR injuries impair movement and, in many cases, eventually lead to a more severe injury, such as a torn rotator cuff. Is Your Shoulder Injury Caused or Worsened By Your Job? As with all workers’ comp injuries in Pennsylvania, in order to be eligible for workers’ comp benefits, you must sufficiently demonstrate that your injury is work related. In some instances, such as when a sudden accident causes a broken leg, it is relatively easy to connect the injury to the job. 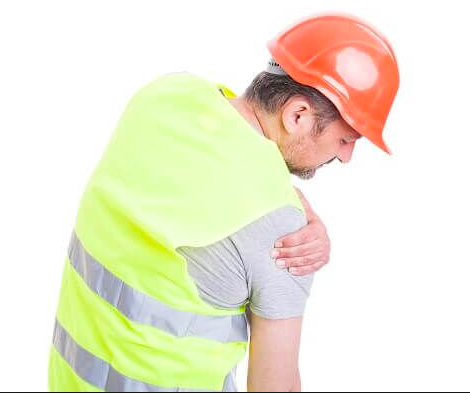 In other situations, such as when a WEAR and TEAR shoulder injury develops or worsens as a result of employment, it is more difficult to establish the connection. Don’t let that scare you, or deter you from seeking the benefits you deserve! Remember, an employee who suffers or worsens an injury on the job is entitled to workers’ comp benefits, regardless of whether the injury is acute or WEAR and TEAR. Have you suffered or exacerbated a WEAR and TEAR shoulder injury that you believe was caused by your work duties? If so, you should not take any chances trying to handle the matter without advice. Call or contact us today for a free consultation at 610-295-9256.